The derogatory phrase "Scam Build It" is wordplay suggesting that Site Build It! (SBI!) is a dishonest scheme. SBI! is an all-inclusive e-business building platform with proof of results, but dishonest scheme, it is not. In fact, in a recent $50,000 "Match It" Challenge, SiteSell, makers of Site Build It!, offered a cash award to any company or service offering comparable tools and rates of success at a price lower than SBI!'s. Nobody could master the challenge, leaving SBI! unrivaled in terms of overdelivery on tools, training and support with verifiable results. And overdelivery is at the complete opposite end of the Scam Build It spectrum. A closer look at the Scam Build It phrase reveals an interesting twist. The twist involves Google, its auto suggestion tool and manufactured search queries. The Internet is a wonderful tool for obtaining quick information and insights on just about any topic one can think of, including products and services. These days, buyers are using those research tools more frequently in order to make informed buying decisions. 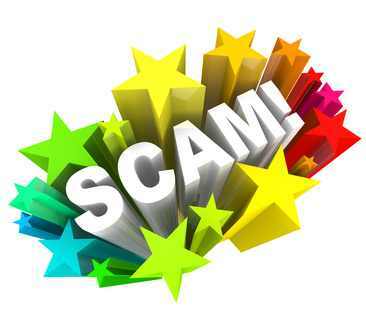 They are on the lookout for opinions, good or bad, and are particularly sensitive to scams. Nobody wants to be duped, although most of us have been, at one time or another. Savvy Internet users know about this online progression and some have learned to use the trend for advantage, both business and personal. Google has made online research a snap, yet some have learned how to manipulate Google to control what information is visible to searchers in order to control or manufacture public opinion. Case in point is the scam building technique. When Google serves up a search query to a user, that result carries with it a certain amount of authority. Google is, after all, in possession of most, if not all, information on the Net. It then undergoes its proprietary process to organize it, determining which results are most relevant and returns to the searcher what is assumed by many to be the best results for their query. What some Google users don't realize, however, is that Google's indexing system can be compromised, meaning some of those results are artificially placed. A scam query can be artificially created so that when a user searches for that person, product or service, Google will suggest they search for "john doe scam" (when searching for a person named John Doe), or "company x scam" (when searching for information about Company X). The purpose of this scam building technique is to cast suspicion. This is because after encountering a scam suggestion, it often appears to the user that the knowledge is commonplace. "Everybody knows John Doe is a scam" is a likely thought a searcher might have after seeing one of these scam suggestions. Scam Build It should be the name of this search manipulation because this technique actually creates a scam pretext for a person, company or service where none existed before. Often times, it wouldn't exist at all, if not for the artificial manipulation. The motives behind using the tactic are usually profit-driven as it creates doubt in the searcher's mind, causing them to go cold at the thought of transacting business. Careful placement of Google advertisement pulls the user over to the competitor's business, diverting would-be customers at the point of sale. It is unfortunate that creating a scam pretext is becoming so widespread. It's quite easy for anyone to call anything a scam online. It's just a matter of saying the right words (or more accurately, typing the words enough times to make them stick!). So when you read the phrase Scam Build It, keep the scam building technique in mind, and like the old adage, "Don't believe everything you read." Remember that just because you see a scam suggestion, that doesn't mean it's true.